The one thing that kids love most about Halloween is also probably the one thing most parents hate: all that candy. It’s not really the candy itself; it’s all the whining and the begging and the arguing that goes along with it. It starts when the kids get home from trick-or-treating, and can go on for days, even weeks, until the stash finally dwindles or parents become too exhausted to continue negotiating. The idea is this: Kids are allowed to eat as much candy as they like on Halloween night. Then, before they go to bed, they pick out 10 or so of their favourite treats for the next day, and bundle up the rest for the Switch Witch. While they're sleeping, the kids are told, the Switch Witch will come into the house, take away the candy haul and leave a new toy, book or even money in its place. It’s win-win; parents have a way of making sure the candy isn’t hanging around until Christmas, and the kids get a “something” they’d prefer instead. Many parents have been practising some form of candy bartering with their kids for years, but having an imaginary character makes the concept almost as much fun as waiting for Santa Claus. This year, a pair of entrepreneurs in Massachusetts decided to make the character even more real, by creating a plush Switch Witch toy and accompanying storybook. 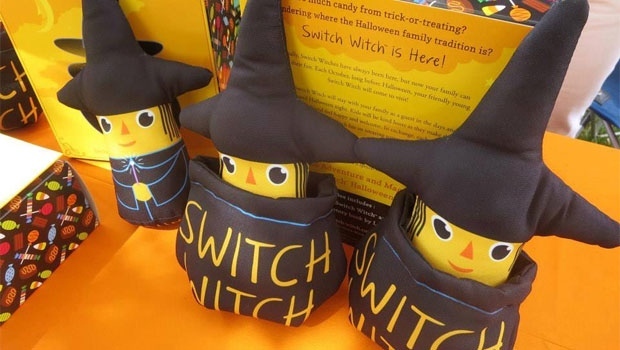 The authors say the idea is to pull out the Switch Witch doll and read the story in the lead-up to Halloween to get kids used to the idea of handing their candy over to her. They even encourage parents to have fun with the doll, letting her play "hide-and-seek" at night, by popping up in a new place each morning. If these ideas sound an awful lot like The Elf on the Shelf, that's probably no coincidence. 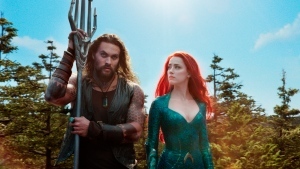 The authors appear to be taking a page from that hugely popular book and toy combo that's grown into a multi-million dollar success story since its debut in 2005 -- even leading to an Elf on the Shelf TV Christmas special. The Elf on the Shelf was created to encourage kids to be nice in the lead-up to Christmas to avoid having the elf report their misbehaviour to Santa. The Switch Witch isn't about good behaviour, but it is about better eating. Reducing sugar consumption is top of mind for many parents these days, with groups such as the Heart and Stroke Foundation and the World Health Organization warning us that most of us are taking in way too much sugar and getting more overweight. And many parents know that Halloween isn’t just one day anymore; it can go on all week with parties at sports lessons, after-school clubs, and at school dress-up parties. So many parents welcome any ideas for cutting back on that annual sugar load. The Switch Witch appeals to kids too. For the younger ones, she sounds an awful lot like the Tooth Fairy and other magical creatures who manage to get so much done at night while they’re sleeping. For older kids, striking a deal to get a toy or other item they really want just by dumping their candy castoffs sounds like a great, Christmas-come-early idea. Some have criticized the Elf on the Shelf as a slightly underhanded way to get kids to behave out of fear, but the Switch Witch is not there to judge. If children want to hand over their candy, they get a toy, no questions asked. There is one problem that the Switch Witch presents, though, and that’s what to do with all that confiscated candy. In the U.S., the authors behind the Switch Witch work with a U.S. organization called Operation Gratitude. It collects leftover Halloween candy dropped off by families at dental offices, and then sends it in care packages to U.S. troops overseas. Here in Canada, there are some dentists who offer “candy buy-back” programs, but they are few and far between. So after arranging a switch with the Switch Witch, parents will have to resort to the tried-and-true methods for slashing their kids candy hauls: take it to work or eat it themselves.